After her near-fatal run-in with the Jack the Ripper copycat, Rory Deveaux has been living in Bristol under the close watch of her parents. So when her therapist suddenly suggests she return to Wexford, Rory jumps at the chance to get back to her friends. But Rory's brush with the Ripper touched her more than she thought possible: she's become a human terminus, with the power to eliminate ghosts on contact. She soon finds out that the Shades - the city's secret ghost-fighting police - are responsible for her return. The Ripper may be gone, but now there is a string of new inexplicable deaths threatening London. Rory has evidence that the deaths are no coincidence. Something much more sinister is going on, and now she must convince the squad to listen to her before it's too late. 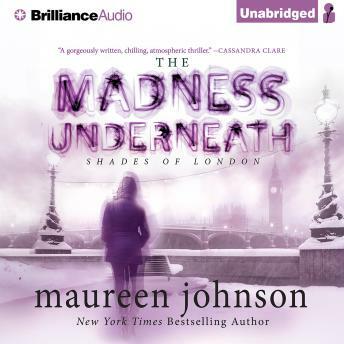 In this follow-up to the Edgar Award-nominated The Name of the Star, Maureen Johnson adds another layer of spectacularly gruesome details to the streets of London that will keep you on the edge of your seat until the very end.